[QUIZ] HOW HAPPY IS YOUR HORSE? You feel happy around your horse. But how happy is your horse? 1. 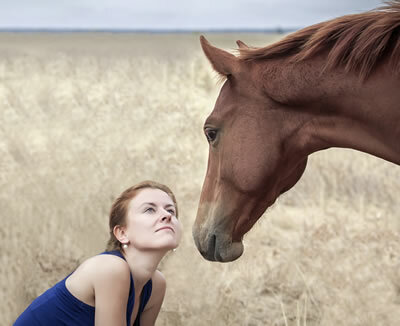 Does your horse have friends (besides you)? 2. How physically active is your horse? c. My horse is super active, having a lot of space to walk and run 24/7! 3. How would you describe your horse’s diet? 4. Does your horse have access to fresh, clean water? 5. Do you scratch your horse regularly? c. Yes, every day, and I know my horse’s favorite scratching spot! 6. Do you know your horse’s normal vital signs? a. eh? What’s a vital sign? 7. Has your horse ever tried to kick or bite you or another person? 8. Does your horse have any toys? a. Nope – do they even like that kind of stuff? 9. How often do you groom your horse? 10. What do you do if your horse misbehaves? 11. Does your horse have regular checkups from the farrier and dentist? 12. How do you teach your horse something new? 13. How much gear / tack does your horse need to wear? 14. How often do you spend time just hanging out with your horse? a. When I’m with my horse he has to be working! 15. Does your horse get to learn and try new things?